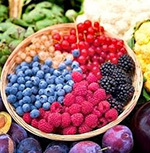 Research demonstrates that these “super foods” not only taste good, can help fight hunger, reduce cravings for sugars, deliver health benefits and ultimately help you lose the weight and keep it off. 1) Lean beef, the amino acid leucine which is high in proteins like lean beef and fish has been found to help shed the pounds while the same time maintaining lean muscle tissue. In a university of Illinois study two dozen middle-aged women ate about 10 ounces of beef the day on approximately a diet of 1700 calories in turn helping them lose more weight, more fat versus a group consuming the same amount of calories, with no animal protein. 2) Eggs, full of protein, help you feel full, a study of 30 obese women discovered two scrambled eggs for breakfast versus women who had a bagel for breakfast of equal calories consumed less over the next 36 hours. 3) Probably my favorite Fat destroying idea Cinnamon, research from the US Department of Agriculture found that a little real Cinnamon can help with insulin spikes after a meal which in turn can cause you to physiologically crave additional food especially refined carbohydrates/sugars (cake, candy, dessert). One of the benefits is its ability to control blood glucose(1) about a half a teaspoon every day has been shown to reduce triglycerides, HDL cholesterol, the bad cholesterol, improve/reduce blood sugar levels in people with adult onset diabetes (2) Cinnamon can improve blood sugar levels by increasing glucose metabolism(3) in published study in 2009 said “polyphenols from cinnamon could be of special interest in people who are overweight with impaired fasting glucose since they might act as both insulin sensitizers and antioxidants.) (4) Beware however most of the Cinnamon that you have in your spice cupboard is likely not even real cinnamon the approximate therapeutic dose is about 500 mg or about a teaspoon. 4) Capsaicin found in hot red peppers, in a Japanese study about a dozen women who ate foods with red pepper like South Western omelet ate less food than normal at lunch. 5) Eating nuts, though high in fat, a study from Purdue University of 15 normal weight people when they added about 500 calories worth of peanuts to their diet they consumed less at the following meals and more significant increased their metabolic rate by 11%, Loma Linda University discovered about a handful of pecans a day can reduce heart disease risks. 6) Another favorite grapefruit in a 2006 study 91 obese people ate a half a grapefruit before each meal and helped them drop more than 3 pounds over 12 weeks this research was conducted at the Nutrition and Metabolic Research Center at Scripps Clinic. It’s hypothesized that the fruits phytochemicals reduce insulin levels helping the body converts calories into energy rather than fat. Over the years I’ve read numerous similar studies on the benefits of grapefruit. 7) Green tea in a Japanese study 35 men who drank a bottle of oolong tea with green tea, increased their metabolism, lowered bad LDL cholesterol levels and lost significant weight. 8) Beans, in a study of 8 men discovered levels of the hormone cholecystokinin (CCK) were twice as high after eating a meal with beans then after a low fiber meal containing ricin dry milk. It’s hypothesized that CCK is one of the chemicals stored in the lining of our stomachs that signals our hypothalamus that you’re full. Other possible benefit helps stabilize blood sugar levels, lowers cholesterol, helps with appetite suppression. I challenge you to find a way to incorporate these eight super foods into your everyday routine they are not only good for you, help reduce that, they taste great as well! Can a Salad Really be Worse Than A Whopper?